On the west coast of Britain covering 823 square miles, Snowdonia National Park is a living working area. And home to over 26,000 people. 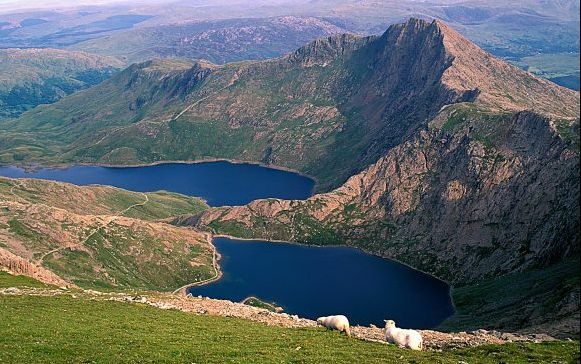 As well as being the largest National Park in Wales, Snowdonia also has the highest mountain in England and Wales. And, in addition, the largest natural lake in Wales too. As well as picturesque villages like Betws y Coed and Beddgelert. Snowdonia is an area steeped in culture and local history. Of which more than half its population speak Welsh. Most of this trip will be spent enjoying the great outdoors. So prepare for the great British weather! Don’t forget to pack your waterproofs and your factor 50! In Britain we know that we have to prepare for all types of weather. You may want to take a walk along the Welsh Coastal path. Here you will find a variety of walks along the coast to be enjoyed, and, there will be distances to suit everyone. Also, pay a visit to the beautiful waterfalls. Aber Falls and Swallow Falls. Whilst in this area you should really pay a visit to the place that is famous for having the longest name in the UK, Llanfairpwllgwyngyllgogerychwyrndrobwllllantysiliogogogoch! Also take time to enjoy, LLandudno, Betws-Y-Coed, Colwyn Bay, Anglesey and Porth Madog. What’s included in your motorhome holiday to Snowdonia and North Wales?